I want to ask HVAC experts how to troubleshoot my floor heating system. I have a Lynx-85a boiler, pumping hot water into three zones, one per room and three zone valves. 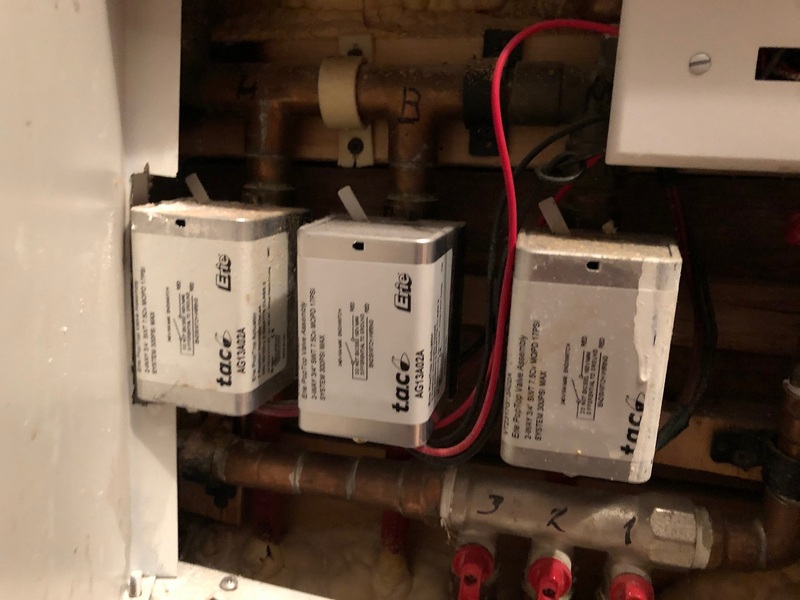 For some reason, original builder installed four thermostats. There is a main thermostat in front of the boiler room. It controls cental air conditioner that has no zones. I tried to replace living room thermostat and it only has ~2V. Yet, it works just fine. It has two AA batteries and seems to be able to control zone valve. The other two room thermostats and main one have ~24V. I am confused about how the system is set up. 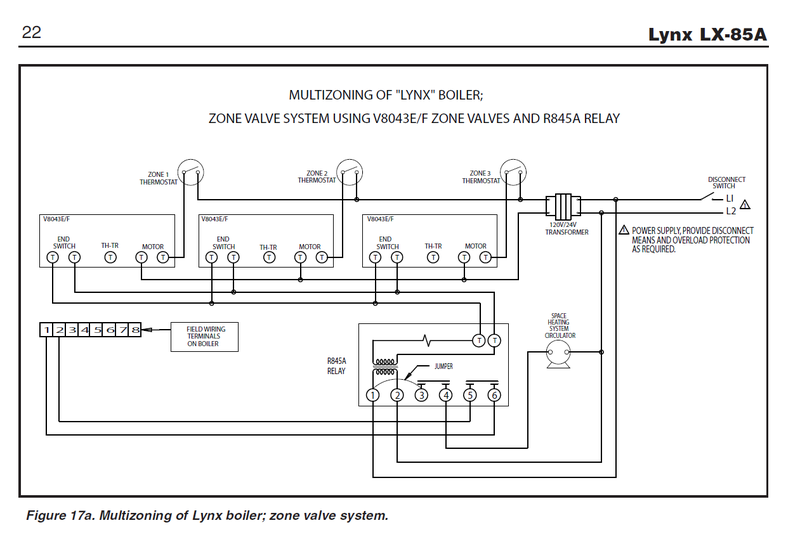 i took a picture of my zone valves and a page from lynx manual. i am not certain how it is setup. Browse other questions tagged heating thermostat-c-wire zoned-heating or ask your own question. Can I reverse my heating zone?